The perfect dinner for those sneaky, lingering winter days? 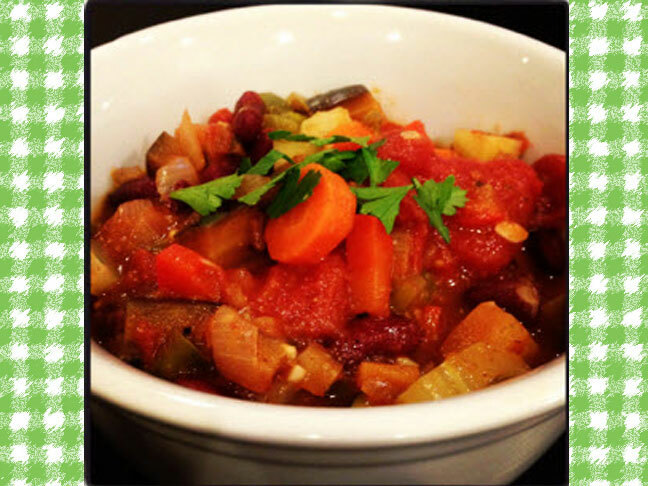 My quick and easy Vegetarian Chili! It is delicious and healthy, plus this recipe makes a ton, so you can freeze some as a bonus meal for another day! As we head into the spring season, I am always reminded how quickly winter can sneak back into our lives. One day it will be sunny and 70; the next day, cloudy, rainy and 55 which is the perfect opportunity to pull out this one pot meal recipe. Heat olive oil in large pot over medium heat. 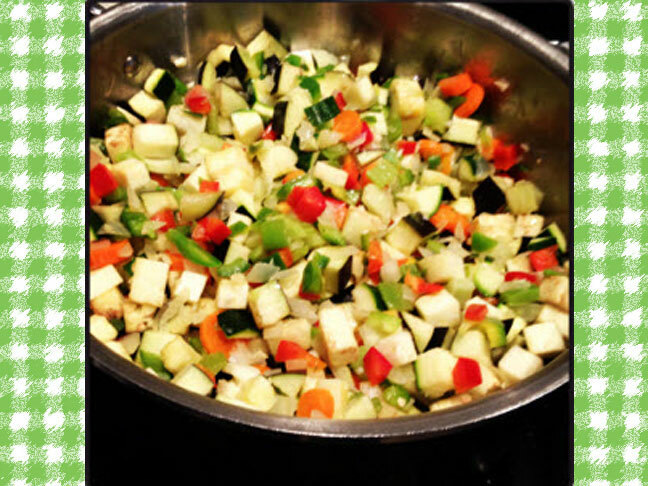 Add onions, garlic, carrots, celery, fennel and jalapeno peppers. Cook stirring frequently for 10 minutes. Add eggplant, bell peppers, zucchini, kidney beans, tomatoes (with juice), parsley, chili powder, cumin, and oregano to pot and stir. Cover and cook chili for 25 to 30 minutes. Sprinkle salt, pepper and red pepper chili flakes to taste. Ladle into bowls, add any toppings you would like and enjoy! 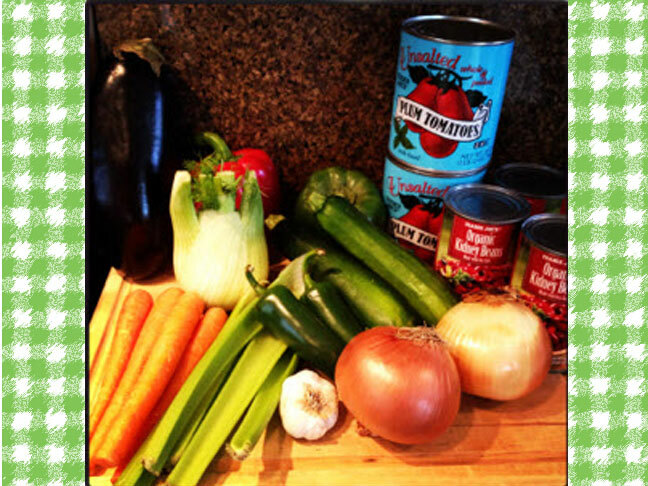 *This recipe makes a LOT of chili! Good for leftovers or for freezing for another rainy day! Rachel Voorhees is the creator of Mommy Needs a Vacation, a daily blog about being a stay-at-home mom of two insanely adorable kids who drive her total and completely crazy. She would love a vacation but until then, she just takes it ONE. DAY. AT. A. TIME. and usually with a glass of wine. As a wine lover extraordinaire, she loves to share the knowledge and beauty of a delicious glass (or bottle!) of wine with others. Visit her at Mommy Needs a Vacation, on Twitter and Facebook.